Florene Marie Bohan, 78, formerly of Waukegan passed away Friday. September 30, 2016 at Winchester House in Libertyville. She was born May 18, 1938 in Buckman MN to the parents of Herman (Margaret) Schamal. She leaves her son: Michael Bohan of Waukegan. Services will be privately held. Arrangements were entrusted to: Strang Funeral Chapel & Crematorium 410 E. Belvidere Rd. Grayslake, Il 60030. For additional information please call (847) 223-8122. Franz John Baker, age 81, formerly of Round Lake, passed away Monday, September 26, 2016 at Willowfield in Delavan, Wisc. He was born on March 2, 1935 in Chicago and was a Pace bus driver. He is survived by his wife of 60 years, Marie, whom he married on October 13, 1956; daughters, Diane Baker and Barbara Ann (Michael) Message; grandchildren, Jennifer (Mark) Diefenbacher, Joanne (David) Mueller, Brian (Cindy) Baker, and Melissa (Frank) Foley; great-grandchildren, Jordan, Jaclyn, Jayden, Hannah, Michael, Blake, Alex and David; and one brother, Tom Baker. Friends of the family may visit on Saturday, October 1, 2016 from 11:00 a.m. until 1:00 p.m. at Strang Funeral Chapel & Crematorium, 410 East Belvidere Road, Grayslake, IL 60030 followed by a 1:00 p.m. service also at the funeral chapel. Interment will be at Willow Lawn Cemetery in Vernon Hills. For information please call 847-223-8122 or go to www.strangfuneral.org. Katherine M. Kotulla, 97, passed away Wednesday, September 21, 2016 at Brookdale Senior Living in Vernon Hills. She was born November 21, 1918 in Chicago to Mathias and Katherine (Geisen) Simon. She spent her early childhood in Aachen, Germany before her family settled in the Northwest side of Chicago. She married Norbert J. Kotulla in 1941 and they celebrated 66 years of marriage before his death in 2008. Loving sister to Matt Simon (deceased); loving mother to Michael J. Kotulla (deceased), Jerry Kotulla, M.D. of Asheville, NC, Wendy Kotulla and spouse Lori Rieth of Third Lake. Long time resident of Chicago and Park Ridge. She lived 97 full years on this earth. We will miss her spirit. Visitation is Wednesday, September 28, 2016 from 4:00 p.m. until 9:00 p.m. at Strang Funeral Chapel & Crematorium, 410 E. Belvidere Road, Grayslake, IL 60030 and on Thursday, September 29, 2016 from 9:00 a.m. until 9:30 a.m. at the funeral chapel followed by a funeral mass at 10:00 a.m. at St. Gilbert Catholic Church, 301 East Belvidere Road, Grayslake. Interment will be at St. Joseph Cemetery, River Grove. For information, call 847-223-8122 or visit www.strangfuneral.org. Victor Anthony Leogrande, 94, a resident of Grayslake, passed away Thursday, September 22, 2016 at The Village of Victory Lakes in Lindenhurst where he received wonderful care. He was born July 1, 1922 in Syracuse, NY. Victor was a World War II veteran having served with the US Army. He was a lifelong employee of Walgreens and a loving husband and father. Victor is survived by his wife of 60 years, Pearl, his daughter Jeanette Mummert, his grandson Adam Victor Shearin, and his great-grandchildren La’Eabha Shearin, Pax Shearin, and Kaylin Shearin. He was preceded in death by his parents, and his brother John Leogrande. A memorial service is scheduled for Sunday, October 2, 2016 from 1:00 to 2:00 pm at Strang Funeral Chapel & Crematorium 410 E. Belvidere Rd. Grayslake, IL 60030. In honor of Victor’s service to our country during World War II, please feel free to make a donation to The Wounded Warrior Project. For more information please contact (847) 223-8122 or log onto www.strangfuneral.org. Donald Walter Birgerson, age 77 , passed away on September 22, 2016. Donald was born in Chicago, IL to Walter Alfred and Ebba Sophia Birgerson on June 15, 1939. He graduated from Wittenberg University in Ohio and was a member of Christus Victor Lutheran Church. He worked as a Microsystems Sales Consultant and retired from Leica Microsystems after 40 years. Spouse: Sandra Kay Birgerson. He married Sandra Kay nee: Thompson in 1961. Donald was involved in a variety of activities throughout his life including the Church Choir, Rotary Club, CB Radio club, Ship Model club, Bridge club, and the Girl Scouts. Donald is preceded in death by Walter Alfred Birgerson (father), Ebba Sophia Birgerson (mother), David Allen Scott (Son-in-law). Donald is survived by Sandra Kay Birgerson, Laureen Renee Scott, David Wayne and Deborah June Hammitt, Susanne Michele Birgerson. Sister, June Dolores and Paul Belin. (Grandchildren) Trevor Mitchell Scott, Haley Michelle Scott and Brandon Cole Hammitt. Niece, Kristin June and Ruben Mesa. A visitation is scheduled for Monday, September 26th, 2016 from 4:00pm until 8pm at Strang Funeral Chapel & Crematorium 410 E. Belvidere Rd. Grayslake, IL 60030. A funeral service will be held on Tuesday, September 27th 2016 at 10:30am at the funeral chapel. Interment will follow at Irving Park Boulevard Cemetery, Chicago, IL at 1:30pm. For more information please contact (847)223-8122 or log onto www.strangfuneral.org. Michael Frances Butler “Tank”, a Warren alumni, passed away Sunday, September 18, 2016. He was born September 21, 1967 in Chicago. Mikey was a phenomenal artist, a lover of music and movies and an avid Notre Dame and Chicago White Sox fan. He was preceded in death by his brother, Brian Butler. He leaves behind his two daughters, Alexandra M. Butler and Alyssa Butler, his spoiled animals, and “his girl”, Joelle Radke. If you would like to attend a celebration of life for Michael, please contact Joelle through facebook. Florence Groll, age 86, passed away at Hillcrest Nursing Home in Round Lake Beach on September 20, 2016 surrounded by her loving family. The staff of Hillcrest along with the Hospice group surrounded Florence with care, comfort and compassion during her final days. From her birth on October 26, 1929 in Morton Grove until her death, she lived a simple, unpretentious life. On November 24, 1929, Florence was baptized by Rev. A. H. Werfelmann of the Immanuel Lutheran Church in Glenview. As a child, Florence attended church, played the clarinet and enjoyed basketball, where she earned her nickname of “Pony” due her swiftness of foot. She enjoyed craft making, playing cards, baking, and completing puzzle books. Florence had a strong work ethic. She was a solderer and factory worker most of her life and later worked as a home care assistant for senior citizens into her mid-70s. She was preceded in death by her parents, Herman and Josephine Glauner, her sisters, Violet and Lorraine, and her husband, Harry Groll. Left to honor her memory are her son, Charles (Donna Eckel), her daughters, Judy (Steve) Davis, Carol (John) Anderson, and Linda (Craig) Somerville, and her grandchildren, Christian, Shawn, Serina, Johnny, Cindy, Shelly, Heather, Nick, Craig and Steven, and her many great-grandchildren. Florence received Jesus Christ as her Savior as a child and recently rededicated her life to the Lord. A visitation will be held at Strang Funeral Chapel & Crematorium, 410 East Belvidere Road, Grayslake, IL 60030 from 9:00 a.m. until 10:00 a.m. on Saturday, September 24, 2016 followed by a 10 a.m. service also at the funeral chapel. Interment will follow at Avon Centre Cemetery. For information, please call 847-223-8122 or go to www.strangfuneral.org. Patricia Kathleen Angelos, age 74, passed away Monday, September 19, 2016 at Vista Medical Center East in Waukegan. She was born in Chicago on October 20, 1941 to Harold and Ethel (Schiffelbein) Matthews. Patricia was a waitress and bartender most of her life. She loved her son very much and her neighbor, Jeff, whom she called her second son who took such good care of her and her wonderful neighbors next door. She also adored her beloved dog, Piper. Patricia is survived by her son, Russel Edmund (Jennifer) Scott of Florida; her grandchildren, Zachery Scott, Russel Cooper Scott, T-Jae Scott and Noah Scott; and her siblings, Diana (Dennis) Staral of Round Lake, Mary (Ray) Staral of Iola, Wisc., Robert Matthews of Bristol, Wisc., and Harold (Connie) Matthews of Waukegan. She was predeceased by her mother, Ethel Dombkoski, father, Harold Matthews, son, Joseph Angelos, and brother, Earl Wett. Friends of the family may visit from 10 a.m. until 11 a.m. on Thursday, September 22, 2016 at Strang Funeral Chapel & Crematorium, 410 East Belvidere Road, Grayslake, IL 60030, followed by an 11:00 a.m. funeral mass at St. Gilbert Catholic Church, 301 East Belvidere Road, Grayslake, IL 60030. Interment will be at Millburn Cemetery. For more information log onto www.strangfuneral.org or call (847)223-8122. Frank W. Dorfler, 76, of Grayslake, passed away peacefully September 15, 2016. He was born to Alfred and Ruby (Snyder) Dorfler of Grayslake on August 28, 1940. 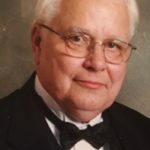 Frank was a lifelong resident of Grayslake and had a long career as a truck driver in the Lake County area. He enjoyed cooking, woodworking, carving and spending time with Reno, his Boxer. Frank was preceded in death by his parents and sister, Maryann (Dorfler) Wells. He is survived by his devoted wife of 53 years, Darlene (Diebold) and his son, Ed (Donna Caringello). Visitation is on Saturday, September 24, 2016 from 4:00 p.m. until 7:00 p.m. at Strang Funeral Chapel & Crematorium, 410 East Belvidere Road, Grayslake, IL 60030. There will be a brief service at 7:00 p.m., also at the funeral chapel. Interment will be private. In lieu of flowers, donations may be made to Elija’s Mantle, or just raise a beer and make a toast in Frank’s honor. For more information please call (847)223-8122 or log onto www.strangfuneral.org.